Do you know your heart age? If you are unhappy with your heart age, there are many ways to improve it as discussed in our article earlier this week. The best ways to reduce risk of a heart attack or stroke is to have a healthy diet and exercise regularly. Eating well and exercising is great, but if you’re concerned with your heart health it may be a good idea to have a heart rate monitor tool that measures how your heart is doing. You won’t know if your “heart age” is improving if you don’t measure it. With the Baseline® Fingertip Pulse Oximeter you can do just that. This device measures and displays real-time pulse and SpO2 level. Just like using a weight scale to help lose weight, the Baseline® Fingertip Pulse Oximeter can help with improving your heart age. Pulse oximetry is a technology used to measure the oxygen level in your blood and your heart rate. This finger pulse oximeter is equipped with technology to rapidly detect changes in your blood oxygen level. This can help the user determine if they have a medical condition they should bring up to their doctor. Such conditions include: COPD, asthma, Congestive Heart Failure (CHF) and other conditions. 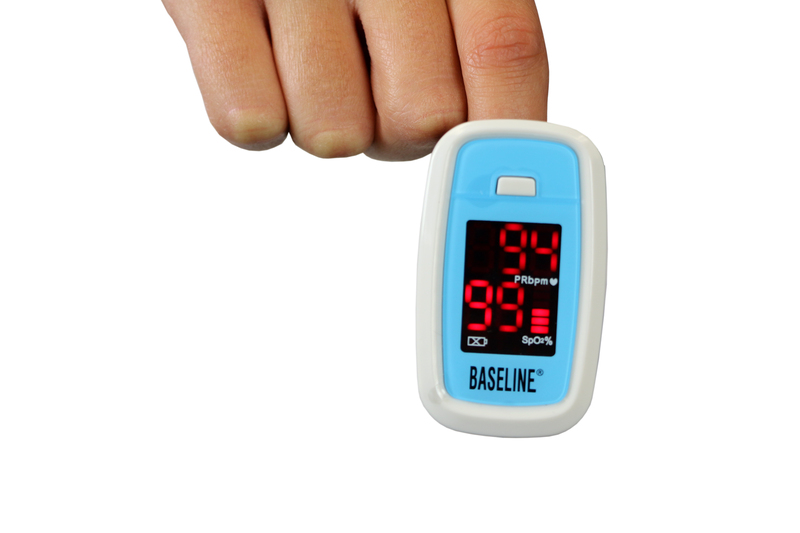 To measure and improve your heart age, use the Baseline® Fingertip Pulse Oximeter. It measures your heart rate, so you can know if your diet and exercise regiment is working. Please consult your doctor if you are experiencing any heart issues to receive a proper diagnosis. 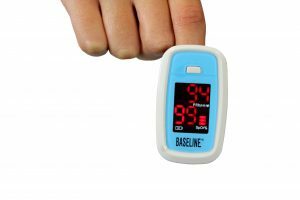 To check out our Baseline® Fingertip Pulse Oximeter, click here.